Paigey Cakey is doing the lot! Her fashion sense has attracted a lot of people to take interest into her new music and has gained a whole new following and fans. Following up from her smash hit single ‘Same Way’, Cakey is back with the video to ‘Head Turner’ where she raps about being a head turner; someone who people like to look back at. 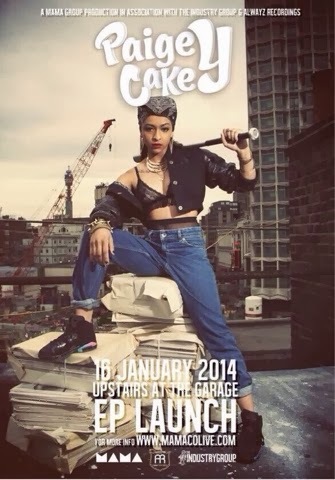 Marking her birthday this month - Paigey Cakey will hold her EP launch at The Garage on January 16. Her forthcoming EP ‘The Next Paige’ is to be released on January 28 via Alwayz Recording! Further details about the EP launch event after her video ‘Head Turner’ below! Special Guests include: Yellows, Lola Godheld and more! Tickets for this one night stand with Paigey Cakey are available to buy HERE, priced at £7!